Happy Autumn! 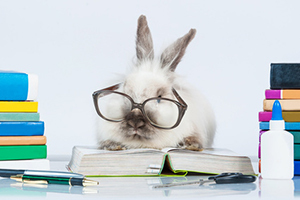 Summer is officially over and Leaping Bunny is ready to tackle the new school year. We are so excited to see how dramatically our program of cruelty-free companies has grown over the last few months. With students going back to school, there is no better time to become a compassionate consumer. 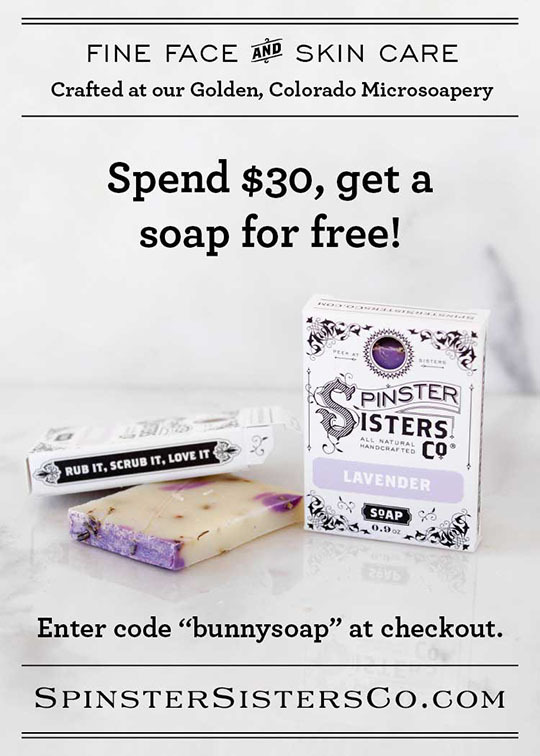 It’s never too late to start learning about how to shop cruelty-free. Below is a list of some of our most recently certified companies, so be sure to check it out! 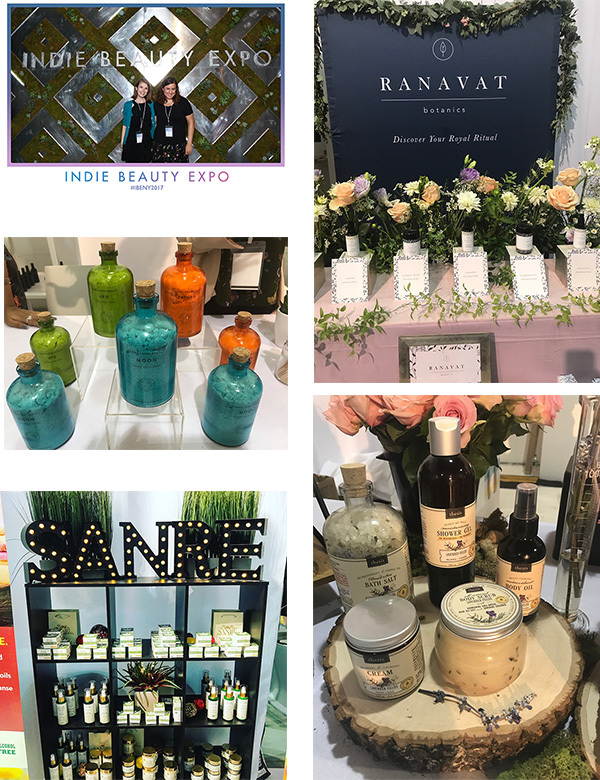 We also share our experience from our day at Indie Beauty Expo NYC, where we met with over 75 companies. 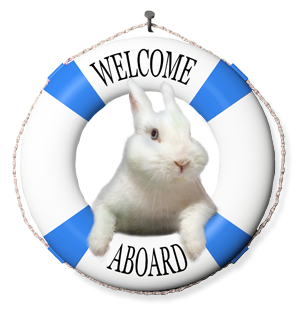 Plus, this month we interview Leaping Bunny certified company, Earthwise Beauty. 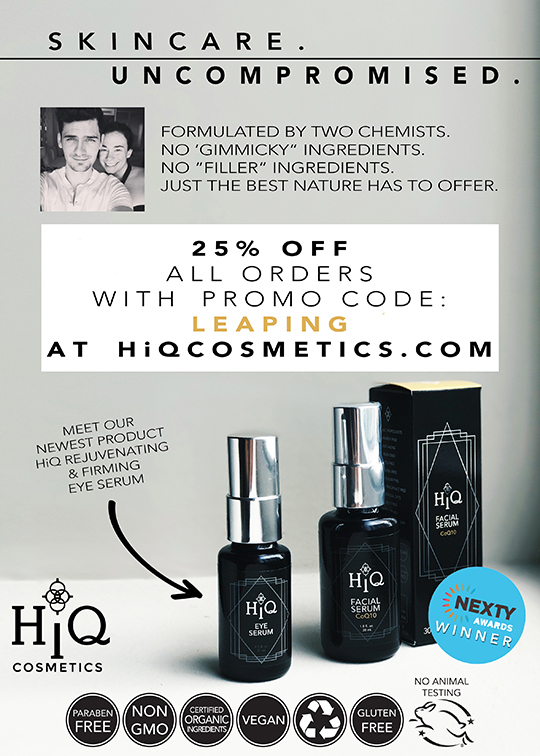 Don't forget to scroll to the end for exclusive promotions with Clear Conscience, HiQ Cosmetics, and Spinster Sisters. On August 24th, Leaping Bunny traveled to New York City to attend Indie Beauty Expo NYC. It was a wonderful, action-packed day. We visited with many of our cruelty-free companies, including Antonym Cosmetics, Flora 1761, Florapy, florapothecarie, Ranavat Botanics, SanRe Organics, Seaweed Bath Co, and Terra Luna Beauty. We also got to meet a bunch of new companies interested in Leaping Bunny certification. In all, we saw about 75 companies and brands. Check out the pictures below of some of the highlights from our day. Eco chic luxury nail brand with a variety of nail treatments and lip products. Line of products designed for the removal of unwanted hair via sugar waxing and conditioning the skin. High performance cosmetics with clean ingredients. New Zealand inspired skincare made with renewable natural active botanicals. Nail salon with its own line of nail polish and body care products. Botanically based skincare for mommy and mommy-to-be skin. Organic skincare, body care, haircare, and scents inspired by the sea. Skincare products inspired by Mother Nature and infused with floral essences and plant extracts. Small batch, handmade skincare that is 100% organic, vegan, and loaded with healing essential oils, natural herbs, and Vitamin E.
Southern California based beauty company specializing in cruelty-free lashes, accessories, and lash glue. Modern apothecary goods crafted from organic and wild harvested ingredients. Natural artisan perfumery offering a variety of scents and bath and body products. Natural and safe household cleaning products that are plant-based, biodegradable, sulfate-free, and non-toxic. Effective, natural cleaning products that are safe for people, pets, and the planet. Natural bath and body products with customization available to make your own bath fizzies and bubbles. Earthwise Beauty has been part of the Leaping Bunny family for over two years now. We love the company’s simple approach to skincare, which utilizes unrefined, unprocessed fair-trade ingredients. Some of our favorite products include the Marshmallow Suds Face Cleanser and the Magical Babassu Facial Oil. We were so excited to interview the founder, Ava Zahn, on the inspiration behind the company, her favorite products, and why Leaping Bunny is so important to Earthwise Beauty. Check out the interview below and visit the company’s website to view the product line. What was the inspiration behind the creation of Earthwise Beauty? My initial inspiration when we started in 2005 was to offer organic facial care products that were as close to nature as possible, as fresh as farmers market food, and highly effective. Few options of organic and cruelty-free products were available back then, and customers welcomed what we offered with wide-open arms. Over the years, more high-quality brands have become available for the green beauty customer, and it has been invigorating to our creativity to always work on new innovative products that competed in the new environment: not only cruelty-free, organically sourced, but also luxurious, with beautiful textures and natural perfume-level scents. 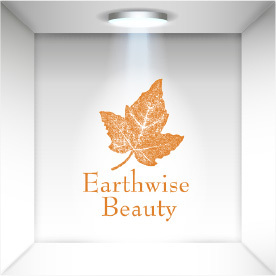 What is Earthwise Beauty’s mission? Our mission is to serve highly discerning real women who value truly special, painstakingly researched, organic skincare products. It has been amazing to observe this through our approachable image, and thanks to the opportunity to communicate with customers in real time on Instagram and Facebook, we have been fortunate to attract loyal and highly appreciative customers. What is your favorite Earthwise Beauty product and why? My favorite product is probably Ferns and Moss Face Serum. It is a miraculous non-oily facial oil (if that makes sense) that is thick, substantial, yet not at all heavy. There is something about the earthy-herbal scent that goes straight to my soul, while the nutrients satisfy the needs of my dry-to-mature skin in every way. Our current top-selling product is Nap in the Meadow Face Serum. We launched this aloe-based hydrator when we identified that customers didn’t have enough eco options for a moisturizer that would be instantly absorbing, wax-free, and non-cosmogenic. When creating this formula, we focused on the needs of all skin types and promised deep aloe-based hydration and reduction of redness (inflammation). This formula has quite a long ingredient list, from turmeric root CO2 extract, elderberry extract, yarrow oil, blue chamomile oil, two kinds of French lavender, and two stunning geranium oils, and it has proven itself as an indispensable product for many women who report improved hydration, enhanced skin texture, and major reduction in hyperpigmentation. What makes Earthwise Beauty different than other similar brands? A person relatively new to green beauty might notice that there are two larger categories: products formulated by chemists using refined natural and nature identical ingredients and products formulated or initiated by herbalists. The first group of products looks and feels more familiar, more conventional, and the creams and lotions are often white and uniformly textured. The second group, which we belong to, is a more wild and untamed camp and it uses unrefined, undeodorized oils and herbs. The products have bold hues, from yellow to green to deep amber, a tantalizing range of textures, and more assertive scents from the herbs, oils, and resins employed as the ingredients. What has been the most rewarding part of creating Earthwise Beauty? It has been truly special connecting with great people through our business. Customers send special notes of support to us via e-mail, Facebook, and Instagram, or enclose messages with their new online order. Each note makes me grow and flourish inwardly. I have more energy and optimism to overcome challenges, and my inspiration triples. It has also been rewarding to get to know one-on-one some of the dedicated suppliers of our ingredients, our cistus hydrosol distiller in Portugal, our calendula grower in the Spokane area, and many others. It is one thing to press a button and order supplies online, but it is entirely a different experience when I speak on the phone with the men and women who travel to Brazil, India, and West Africa to handpick the oils and butters that go in our products. Why is being Leaping Bunny certified important to Earthwise Beauty? This certification is important to us for many reasons. 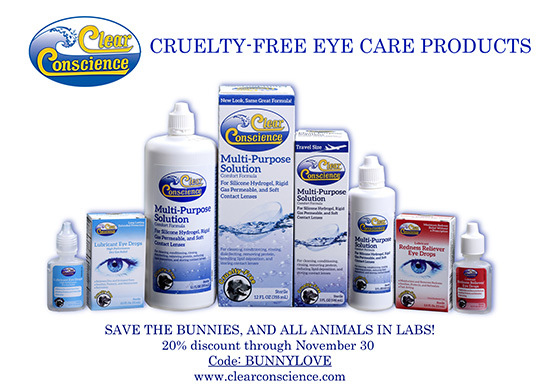 We want to make sure our customers know we do not conduct animal testing, but we also want to be general supporters of the Leaping Bunny mission to teach companies and customers that cruelty-free skin care manufacturing is possible and a modern standard all corporations can achieve. Are all of Earthwise Beauty’s products vegan? Most of our products are vegan, although we also carry a few that are made with honey and flower pollen. The reasons we use carefully sourced, cruelty-free bee products is to support small beekeepers and in this way contribute to maintaining and improving the status of bee populations in the world. Bees are important pollinators, and with their populations decreasing worldwide, there is a risk of plant species becoming extinct. When we source bee products at Earthwise Beauty, we conduct detailed interviews with the family beekeepers to make sure they care for their bees and do not use any equipment that could harm them in the process of retrieving the honey or pollen. What is something unique about Earthwise Beauty that others may not know? I am not a businesswoman, but a woman who at the core wants to bring healing to other women. I am an herbalist, flower essence practitioner, and I have spent over 20 years studying alternative healing modalities. All of it, believe it or not, can go hand in hand with a love for the sensual: luscious facial and body oils, invigorating floral mists, and textured balms. I want to model for other thoughtful women that advocating for organic and sustainable purchases and lifestyle choices does not have to mean depriving ourselves of self-care items that bring us external beauty and internal calm and quiet.